As employee advocacy and social selling advocacy become mainstream for organisations in 2016, the temptation will be to buy a tool and build a program around technology. Things start off great. Employees are engaged, content is shared, prizes are given and the metrics look fabulous. Roll on a few months and activity starts to slow and the metrics look less convincing. Most projects that focus on technology alone will be filed under "failed" unless attention is equally given to the people and processes surrounding it. Having built my own house I know all too well that tools were just one part of the job. We needed motivated people (tea and biscuits normally helped) who were trained with the right skills e.g. electricians, carpenters, plumbers. They all listened to the brief (from our architect) and were given the component parts to work with. Tools were then used to help the job along. Make it easier. We didn't start with the tools. The same is true for employee advocacy and social selling advocacy. 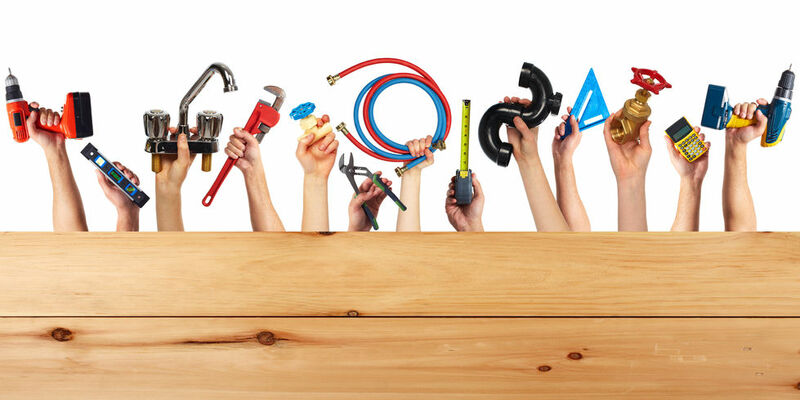 I believe there are five key component parts to a successful project...including tools. Note the word “Engaged” here. It makes a difference. Find those employees that are your brand advocates internally. The ones that support change, defend decisions and that are leaders within the workforce. By the way, that doesn’t automatically mean these people are in positions of management because many won’t be. They’re the employees that naturally pull their peers along in the right direction. They hold influence within the business whether you like it or not. Get them on side. On the Social Maturity Model, check out your Enthusiasts. Employees who are already highly active on social media but need some guidance to hone their expertise and build their networks. Or identify your Connectors - employees that know how to network and naturally enjoy connecting people. Select an employee advocacy tool that’s right for your business. There are many across the spectrum from low to mid to enterprise level so finding one that fits the budget is absolutely possible. However, make sure it fits your functionality requirements. Tools are great for facilitating the content sharing process but remember you will need a resource to administer the tool. Someone responsible for ongoing maintenance e.g. find content, approve content, interpret analytics. Same goes for LinkedIn Sales Navigator. It's a great tool for nurturing prospects with warm engagements but it probably won't be needed by everyone in the organisation. Avoid investing unnecessarily by really understanding how social selling and employee advocacy tools fits into you social business strategy. Disclaimer here! This is the part I can help you with but it’s in the mix for a reason. Too often I see companies training employees on how to use the tool but not training around the wider enablement program. The result? Over excited employees start spamming their networks with branded content in an attempt to reach the top of the leader board and claim their prize. This is not employee advocacy. Yes, training around the tool is important otherwise people won’t know how to use it - but it is also necessary to consider wider contextual training. To quote an ex-colleague, Tom Becher, SAP found that teams that invested time in the full enablement program saw 7x pipeline generation over the teams that just took the Sales Navigator tool training. From a marketing perspective, I found that employees were 3x more likely to start sharing content via the advocacy tool after they received the contextual training over those that just received tool training. They were also generating 50% more engagements because they understood their personal brand and selected content that was relevant to their network. What’s the point in putting 20 employees on the advocacy tool to share content to their networks when their profile is only partially complete and they have less than 50 people in their network! Get the basics right first. A wider enablement program will not only support employee engagement initiatives but it will yield good results from your tool right from the outset. Marketing should have a handle on this part of the mix if they’re managing social strategies correctly. 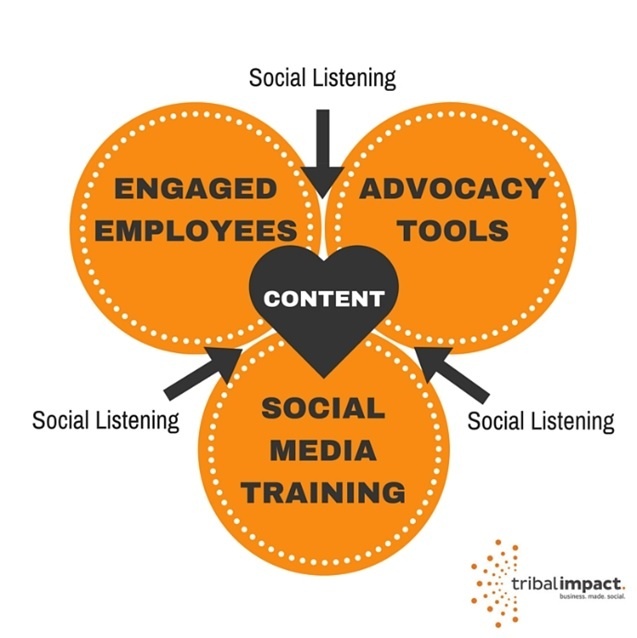 Social listening can broadly be structured into 3 camps. Brand social listening: This is social listening targeted around the brand. What are people saying about the brand, what’s the volume of conversation, what’s the share of voice compared to the competition, what’s the sentiment? Social keyword listening: What are the most common hashtags that should be used relating to our business, what keywords should we be using in our blog titles, what short and long-tail keywords should we be using in our blog copy? Content social listening: This social listening should feed into content marketing strategies. What’s trending within the market, who’s influencing the conversations, what’s topical relating to our business? This is where you find some of your best content. Get your sales teams and thought leaders hooked into the social listening process to understand if what’s trending on social is what they’re hearing in the market place. This kind of sales/marketing relationship is where awesome content is born. Content that perhaps your customers and prospects don’t realise they need yet but because you’re ahead of the game, you’re right there with it when they do need it. Ah, the beating heart of any employee advocacy strategy. My favourite topic. Are you adding enough quality content? Have you categorised it correctly? Are you tagging by content type? What was your best performing content? What was your worst performing content? What’s the share to click ratio you’re receiving on your content? Are employees receiving content relevant to them and their role? Are you including non-branded content? Do your employees actively contribute content? Is the tool full of old content? Remember, content doesn't have to always come from the marketing department. Third party content should also be included as part of your program and encouraging employees to create their own content is also a great source. Nothing is more credible and authentic as employees sharing and endorsing the work of their peers. Focus on creating a culture of content rather than a churning content machine. So the net result is that if you’re already in a place where you’ve invested in an social selling advocacy and employee advocacy tool and you want to get more out of it, consider the five factors listed in this blog post. If you haven't started yet, then consider where to invest your budget. The social selling advocacy tool is just one aspect of a successful employee advocacy program...not the only aspect. Focus on creating a culture of content, an organisation that knows how social media can fit into their roles and help their profession. Consider the impact on employee engagement and and how the program supports the employer brand. I'm interested to hear from other practitioners in this space. Anything to add to the list?